If you do not have the “Wingdings 3” font file, click here to download it. 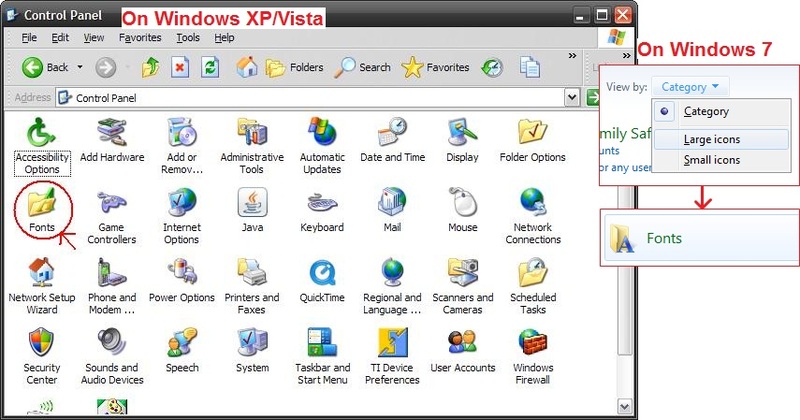 You should save it to a location you will remember, such as your desktop, downloads folder, or documents folder. Go to the “Fonts” folder. 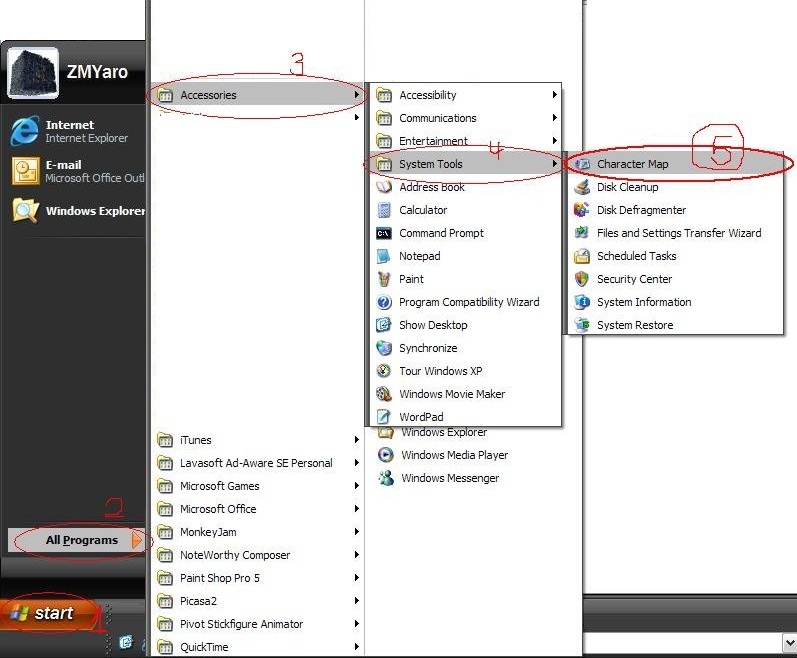 You may have to enable “Classic view” or “All Control Panel Items”. 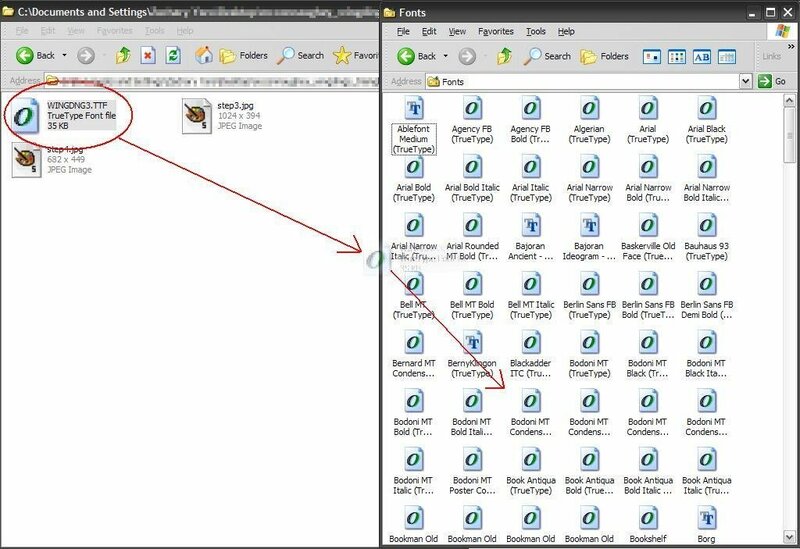 Drag the “WINGDINGS3” font file to the “Fonts” folder. The font should install automatically. You may need to close and re-open some programs before they will use the font. Go to “Start” > “Programs” > “Accessories” > “System Tools” > “Character Map”. 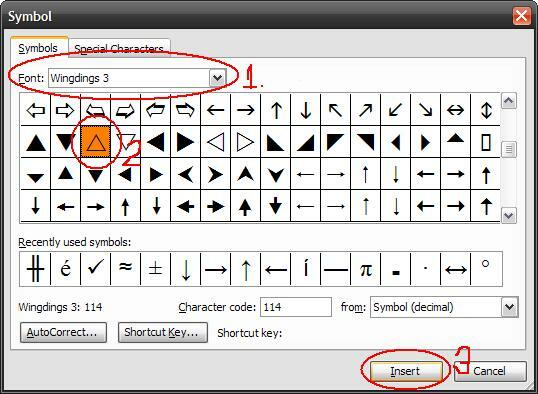 In the “Font” drop-down menu, select “Wingdings 3” and then click on the triangle symbol (you may need to scroll down). Click the “Select” button. The triangle symbol should appear in the white box to the left of the button. If it does, click “Copy”. You can now paste the triangle symbol into Microsoft Word or another program. Note: this method only works for Microsoft Office programs (the examples were made with Microsoft Word, but the process is the same in Excel and PowerPoint). 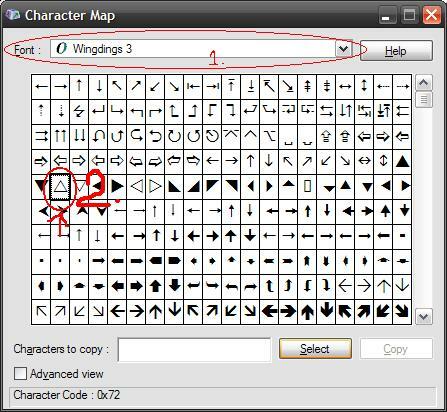 In the “Font:” drop-down menu, select “Wingdings 3.” Then select the triangle symbol (you may need to scroll down) and click “Insert”. The symbol will be inserted wherever you were typing. 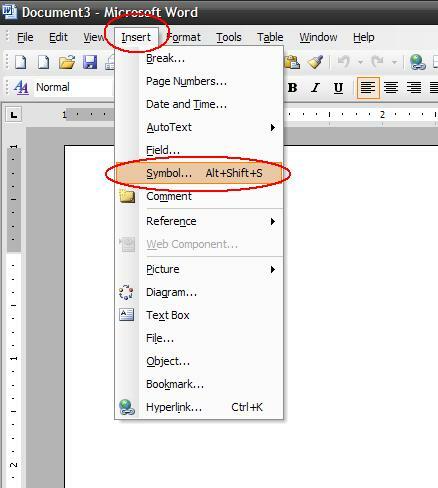 You can highlight and then copy and paste the symbol to skip the “Insert” > “Symbol...” step, however the Insert Symbol window does include a record of the most recently used symbols.